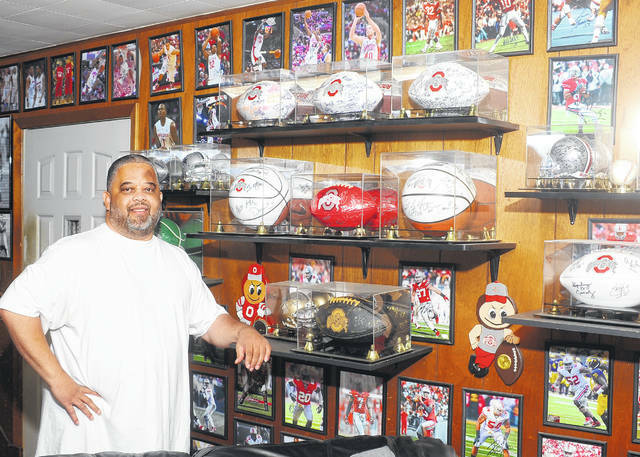 Lima resident Robert Phillips stands in front of some of his Ohio State autographed photos and other collectables. 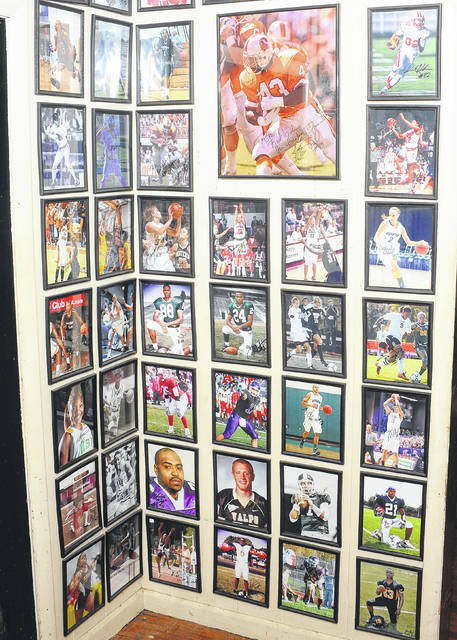 Robert Phillips’ collection includes many area athletes. Robert Phillips’ autographed photos collection includes famous boxers and Dallas Cowboys. Robert Phillips’ autograph collection has outgrown the space in his home. 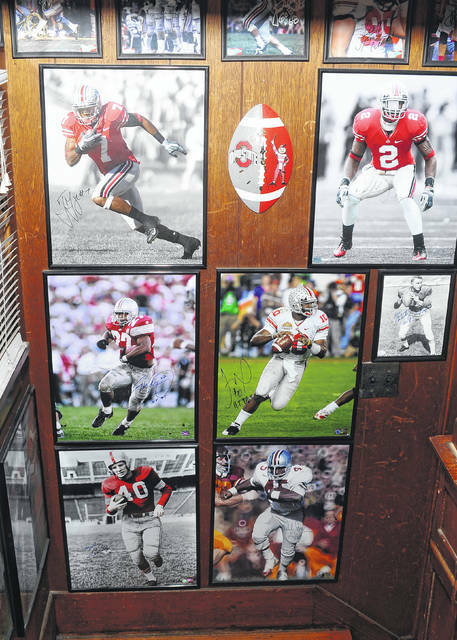 Known as “Buckeye Bob,” Robert Phillips has many autopgraphed photos of Ohio State players. Little did he know at the time, but his whim would grow into an obsession. Today, Phillips’ home is brimming with hundreds of autograph pictures covering every square inch of the wall space, floor to ceiling, in every room in his house. Phillips, a huge fan of Ohio State, set his sights on targeting Buckeye athletes. Known as “Buckeye Bob” to his friends at work, he started to collect photos of OSU football players. “I played middle linebacker and the offensive line for Lima Senior High under coaches Barry Blackstone and Leonard Rush, so I was interested in getting football guys up on the wall,” he says. “When I got Orlando Pace to sign his picture, I decided to just get after it.” His collection eventually spread to include athletes in every sport. When I first walked into Robert’s home, I was stunned by the enormity of his collection, then mesmerized by the many names on the wall. It took me more than a half hour to work my way out of the living room. His collection also sneaks up the steps and through the upstairs hallway. When I finally made my way into the dining room I discovered a pleasant surprise. His collection includes student-athletes from every generation and continues to grow. I found my picture in a corner of the dining room next to the Mauk twins, Stephanie and Rachel (Bath/IPFW) and Adam Stolly (LCC/Capital). Close by were some athletes from my generation: Dave Cheney (LSH/OSU), Dan Sadlier (LCC/Dayton) Randy Cooper (LSH/Purdue) and Jeff Miller (Shawnee/OSU). His “Homie” collection now stretches back many decades and continues to grow with new additions, young and old. He recently added two athletes who competed in the late 1940s: Leonard Truex, a Central High School track star and Tom Williams, a St. Rose High School graduate who went on to captain Ohio State’s basketball squad. A walk around Phillips’ home is more than a stroll down memory lane, it’s a history lesson. Phillips’ also has a large file of pictures that he has yet to get autographed. “It’s tough to get a signature from people who now live out of town and when the younger ones are home on college break, they are busy with their friends and families,” he says. When I asked Robert what his most cherished photograph was, he was quick with his reply. “I have a corner of the living room with photos dedicated to my five kids,” (three boys, two girls) he said. “They were athletes and cheerleaders for Lima Senior and Perry. I am so proud of every one of them. Those pictures are the most valuable things in my home,” he says. Robert Phillips is more than a collector. He is an historian and keeper of the flame for the history of athletes in our community. The hundreds of autographed pictures lining his family home are a testament to his dedication to keeping the memories of our athletic heroes alive. https://www.limaohio.com/wp-content/uploads/sites/54/2018/12/web1_Robert-Phillips-RP001.jpgLima resident Robert Phillips stands in front of some of his Ohio State autographed photos and other collectables. 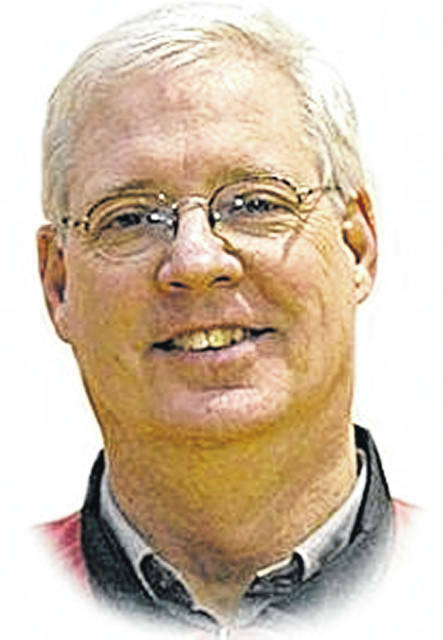 Bob Seggerson is a retired boys basketball coach and guidance counselor at Lima Central Catholic. Reach him at bseggerson@lcchs.edu. This entry was tagged Seggerson. Bookmark the permalink.